My pocket paperback copy of Aleksandr Snegirev’s Нефтяная Венера (Petroleum Venus), a finalist for the 2009 National Bestseller award (previous post), has such curious blurbs on the back cover that I thought I’d use them to structure my comments about the book. Though I read one of the original reviews long ago, I’m not going to look up the rest online… what’s there is there, sequitur or non. Как тут не посмеяться над теми, кто кричал, что роман помер! You can’t help but laugh at those who screamed that the novel has died! Indeed. Snegirev can certainly tell a straightforward story and develop characters: Fedya, a first-person narrator, describes how his parents die in rapid succession, leaving him to care for his teenage son Vanya, who has Down syndrome. The title of the book comes from a painting that Vanya finds at an accident site. It works into an oddly carnivalesque passage toward the end of the book and a reunion of sorts. The novel is powerful. Very powerful. Most powerful aspect of the book: Fedya’s nuanced and emotional description of his relationship with Vanya and Vanya’s life. Fedya and Vanya felt so real that I was ready to forgive Snegirev the book’s weaker elements: a very heavy dependence on coincidence and a late political tangent that feels contrived and/or leaning toward allegory. Прочесть можно за два часа! Can be read in two hours! Not here! The book did read quickly and easily, though. The Time-Out review is the one I read -- it mentions that the novel is written in simple language. Level for non-native readers of Russian: 2/5, moderately easy. It wouldn’t have occurred to me to describe Petroleum Venus this way, but I can’t argue: Fedya isn’t a saintly father, and Vanya certainly knows how to find trouble. Don’t ever stick your tongue out at a BMW. ...виртуозно балансируется на грани жестокости и нежности. …expertly balanced on the border of cruelty and tenderness. Fedya’s description of his difficult relationship with his family members, including the ambiguous circumstances of his mother’s death, balances well with the book’s humorous and sweet moments, like Vanya’s participation in a production of Romeo and Juliet. Рекомендуется даже тем, кто настороженно относится к молодой литературе. Recommended even for those who are wary of youth literature [literature by younger writers; please see comments]. Age interests me far less than competent, confident writing. Some passages in Petroleum Venus felt overwritten or too slapstick, but Snegirev makes up for it with concision, pacing, and a good dialogue-to-description ratio. Автора сильно волнуют отношения с Творцом, и своим волнением ему удается заразить читателя. Relationships with the Creator concern the author very much, and he manages to infect the reader with his concern. Yes, God is in the book, including that cathartic ending, but I think the spiritual element in Petroleum Venus is broader, thanks to Fedya’s mother’s “dvoeverie” combination of religion and superstition. Огромное спасибо от моей матушки! A huge thank you from my mum! I have no idea who Mr. Morev’s mother is or what, exactly, she appreciates, but I wouldn’t be surprised if she felt grateful for Snegirev’s portrayal of Vanya. Or thankful that Petroleum Venus is decent, unpretentious mainstream fiction with a big heart. I intended to make this post last Tuesday (!) but got pretty distracted by client rush jobs, a painfully beautiful early stretch of spring weather, and making plans to go to Russian Literature Week at the London Book Fair next month. I’ll write more soon about Russian Literature Week as well as a slew of books I’ve finished: Bykov’s ZhD/Living Souls, Chizhova’s A Time for Women, Senchin’s Yeltyshevy, Snegirev’s Petroleum Venus, and maybe Gogol’s Dead Souls. And so. On Tuesday, Publishing Perspectives posted “Notes from the Underground: Indie Publishing in Putin’s Russia,” an article by Daniel Kalder about Russian publisher Ad Marginem Press. I’d forgotten Ad Marginem’s early history – Sado-masochism and all! – so enjoyed reading it. Kalder mentions several of Ad Marginem’s writers and books, including Vladimir Sorokin’s Голубое сало (Blue Lard) and Zakhar Prilepin’s Патология (Pathology) and Санькя (San'kia). I was pleased to see that Aleksandr Ivanov, head of Ad Marginem, thinks Prilepin should be better known in the West. I hope stories in the recent Rasskazy and Life Stories collections help Prilepin find an audience here. I see irony – a strange and sad irony – in Ad Marginem finding itself, well, at the margins in terms of distribution and sales, despite so many of its books hitting prize shortlists. Kalder notes that some Ad Marginem books do sell fairly well. He doesn’t mention Mikhail Elizarov’s Библиотекарь (The Librarian), which won the 2008 Booker Prize, but my book is from the fourth edition, which had a print run of 10,000 copies. It’s also reassuring to know that sales of foreign rights, particularly to Germany, have been good for Ad Marginem. I’m happy to read that Ivanov won’t quit: Ad Marginem’s list always includes something unexpected -- Vasilii Avchenko’s Правый руль (Wheel on the Right), a “documentary novel” about imported cars in the Russian Far East comes to mind. A big plus for people like me is that Ad Marginem’s Web site includes newsy information about books and authors, with lots of links to interviews and reviews, both positive and negative. 1 Nomination. The most exciting news of the day was learning that Andrew Bromfield’s translation of Boris Akunin’s Коронация (The Coronation), published by Weidenfeld & Nicolson, is on the long list for the Independent Foreign Fiction Prize. Coronation, a “high-society detective novel,” is one of my Fandorin favorites. 2 Adaptations. Dostoevsky made the front page of today’s New York Times, in the article “A 12-Hour Play, and Endless Bragging Rights,” about Peter Stein’s lengthy production of The Demons scheduled for the Lincoln Center Festival in July. At $175, including meals, it’s a good value, but I agree with some of the commenters who think 12 hours sounds, uhm, rather long. My husband thinks it sounds like a hazing ritual… In film news, Kommersant.ru reports here that Karen Shakhnazarov’s film version of Anton Chekhov’s Палата No. 6 (Ward No. 6) won the Manoel de Oliveira award at the Fantasporto film festival in Porto, Portugal. The film is set in the present but evidently preserves Chekhov’s plot. Mosfilm has a site here with information, including an English-language trailer. 1 Review. In contemporary fiction news, Gregory Freidin’s article-review of Aleksandr Terekhov’s Каменный мост (The Stone Bridge) is on TimesOnline here. Chances are good I won’t be writing about The Stone Bridge any year soon: I stopped reading on page 364 of 829. Freiden reveals aspects of the ending that confirm that I truly did quit reading while I was ahead. From what I can gather, readers either love or hate The Stone Bridge. Two friends loved it but I dreaded reading it. That’s always a bad sign. I can handle loathsome narrators (one reader I know mentioned misogynism), but the combination of loathsome and (okay, I’ll just say it!) boring was too much. 1 Passing. Lenta.ru reported (here) that Russian poet Elena Shvarts died yesterday. A Russian-English book of Shvarts’s poetry, Birdsong on the Seabed, translated by Sasha Dugdale, was a finalist for the 2009 Rossica Prize. 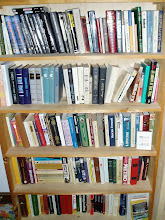 Wikipedia lists Shvarts’s translated works. 4 Recommendations. Finally, Elif Batuman, author of that other book called The Possessed (previous post), wrote a piece for The Daily Beast (here) recommending four modern classics of Russian literature. They are: Viktor Shklovskii’s ZOO, или Письма не о любви (ZOO, or Letters Not about Love), Andrei Platonov’s Джан (translated by Robert Chander and Olga Meerson as Soul), poet Osip Mandel’shtam’s memoir Шум времени (The Noise of Time), and Today I Wrote Nothing: The Selected Writings of Daniil Kharms. Oddly, two of these books – ZOO and Soul – have come up recently in dinner conversations with friends. Did I read ZOO years ago? I don’t remember for sure, though I know I read some of Shklovsky’s literary theory as well as his Сентиментальное путешествие (Sentimental Journey) for courses. And Soul, which a friend liked very much, came up right after I posted (here) a link to an interview in which Robert Chandler discusses Platonov. Unfortunately, Chandler’s introduction to Soul (PDF here) indicates that I don’t have the full text of the Russian original of Soul. Even so, I’m thinking I may read it before delving into Чевенгур (Chevengur), which is over 400 pages long. The 2009 Best Translated Book Award for poetry went to The Russian Version, a collection of Elena Fanailova’s poetry translated by Genya Turovksya and Stephanie Sandler. Ugly Duckling Presse published the book. More information is available in this PDF press release and this Three Percent blog post. A friend gave me a copy of Nikolai Leskov’s Железная воля (An Iron Will), a novella dated 1876 about a German engineer, one Hugo Pektoralis, who comes to work in Russia. An Iron Will begins with a framing device, a bunch of guys sitting around drinking tea, discussing generalizations and the thought that, in terms of will (in the sense of resolve), Russians are like dough and Germans are like iron. One then tells Pektoralis’s story. 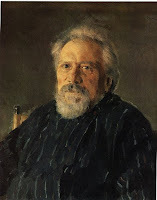 Leskov’s parable treats the reader to numerous instances of Pektoralis’s absurdly strong ability to keep his will and his word, all without complaining, even when “воля Пекторалиса была велика, но капитал слишком мал” – “Pektoralis’s will was great but his capital was too small.” The end involves death and bliny. Though I remember enjoying Leskov’s Леди Макбет Мценского уезда (Lady Macbeth of Mtsensk) more when I read it years ago, An Iron Will is fun and quick to read. Reading level for non-native readers: 2/5, moderately easy. Available in translation. Iurii Poliakov’s short novel Парижская любовь Кости Гуманкова (Kostya Gumankov’s Paris Love) (1991) was just good enough to finish. Poliakov is editor of Литературная газета (Literary Gazette), sells lots of books, and, if you believe the copy on the back of his paperbacks, serves as a guide to the male soul. I certainly can’t say I think Kostya Gumankov bared his soul or much of anything else, though he speaks about regular sessions at a beer pavilion near the office, tells of his strict wife, and describes his Chernenko-era trip to Paris as part of a special tour group. Is beer the key to the male soul? No comment. Is the book any good? It’s pretty mediocre with some cheesy humor but it was successful in evoking something I hadn’t thought about in a long time: the undignified things Russians had to put up with when they traveled abroad during the Soviet era. Reading level for non-native readers: 2/5, moderately easy. Finally, Viktor Astaf’ev’s Людочка (Lyudochka) is a masterful piece of чернуха – chernukha, which I’ve seen defined as “dark naturalism” – that contains a staggering amount of rural and small-city decay in about 50 pages. A first-person narrator tells the story of a girl he didn’t know whose name might be Lyuda – she’s the simple daughter of collective farmers, and she moves from the “небольшая угасающая деревенька” (small village that’s dying out) to a city, where she finds work at a hair salon. It’s clear from the start that the story’s a tragedy, and Astaf’ev never lets up: a park becomes a place where people behave like a стадо (herd), the village grows wild, and there’s an ex-con. The ending, of course, involves death, which is part of why Lyudochka felt to me like a modern take on some of the themes in Karamzin’s Бедная Лиза (Poor Liza). Lyudochka is utterly dark and depressing, but it’s also very, very good. Lyudochka was an interesting complement to Roman Senchin’s Елтышевы (The Yeltyshevs), which shows a move from city to country that results in family tragedy. More on that soon. Reading level for non-native readers: 4/5, fairly difficult. Today’s New York Times included an article – Ellen Barry’s “A Writer Invites Russia to Engage Its Painful Past” – about Yelena Chizhova, who won the 2009 Russian Booker Prize for the short novel Время женщин (A Time of Women). I wrote a bit about the award and novel here. It appears that the novel is still not available in book form, though it’s online here. I do not know of any English-language translations of Chizhova’s work. A Time of Women arose out of Chizhova’s memories of hearing her mother and grandmother speak about the blockade of Leningrad. Chizhova believes the “the vast majority” of Russians aren’t very interested in Russia’s Soviet past. Chizhova says: “They do not have the feeling that history continues. It seems to them that in the 1990s, we just started over. As if we were all born then.” I saw the first stages of this phenomenon when I visited and lived in Russia during 1988-1998. What stands out most is several people telling me they believed Solzhenitsyn’s writings about prison camps were already irrelevant. Still, Barry notes that “there is no question that the past is exerting a pull on Russian art.” Two other big 2009 literary prize winners also take place in the past: Andrei Gelasimov’s Степные боги (Steppe Gods) is set in 1945 (previous post), and Leonid Yuzefovich’s Журавли и карлики (Cranes and Dwarfs or Cranes and Pygmies) takes place during several centuries (previous post). Barry references an article about the 2009 Booker short list by Elena Dyakova – it’s available (in Russian) here. Roman Senchin’s Елтышевы (The Yeltyshevs) (beginning) (end) was the most popular book on the list, with four nominations. Senchin’s novel, which chronicles a family’s decline in a jobless Russian village, was a finalist for the 2009 Booker. I’ll be writing about The Yeltyshevs soon. I’ll translate Vasilii Avchenko’s title Правый руль as Wheel on the Right because the book is a “documentary novel” about the love of drivers in the Russian Far East for used cars imported from Japan. Having ridden in many such cars, including on Sakhalin Island, the book sounds intriguing. Two nominations. I love the title of Olga Novikova’s Гуру и зомби (The Guru and the Zombie), another double nominee, though the descriptions sound a little generic: a domineering man is surrounded by admirers, including a woman who’s ready to do anything for him. Mikhail Gigolashvili’s Чертово колесо (The Devil’s Wheel) looks at crime and drug trafficking in post-Soviet Georgia during the 1980s. Publisher Ad Marginem’s Web site has the first five chapters in PDF here. This is a big book -- 784 pages -- but the beginning is written very simply. Two nominations. I also noted Viktor Pelevin’s new book, t, with one nomination: martial arts master meets Kabbalah demon who claims to have created him and the world. One more: Mikhail Uspenskii’s Райская машина (The Heavenly Machine [or Car? ]), a dystopian-sounding book about a man who comes back into the world after being in the taiga for several years, only to find that UN troops have occupied Russia. One of my Russian friends read it a couple months ago and still can’t stop talking about it.